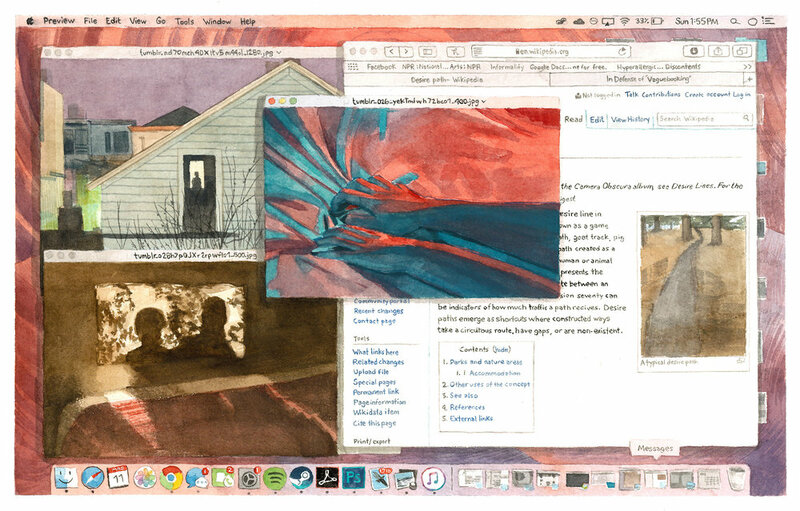 The ⌘ + SHIFT + 3 works are watercolor drawings on paper that reference the keys held to perform a screenshot. 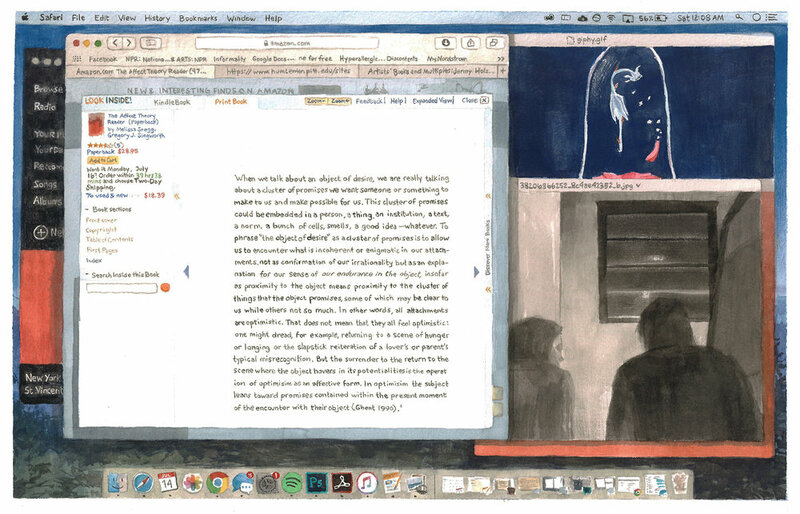 Digital spaces often embody a view of our psyche that is raw and unfiltered. The devices we own are a physical representation of our thoughts, actions, and communications. Our work, entertainment, relationships, and experiences occur more often in a simulated sense of space, on our phones and computers. These snapshots show an honest and unfiltered viewpoint into our lived experiences. These places we exist in the virtual, often reflect our experience of home. We arrange and attempt to create a space that aligns with a desirable version of ourselves. 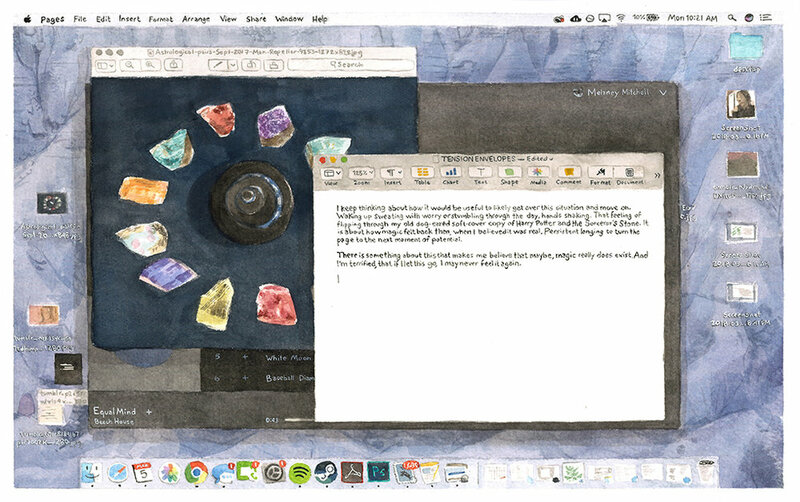 However, the desktop is one of the most clarifying spaces for highlighting the fragmented nature of our inner self. 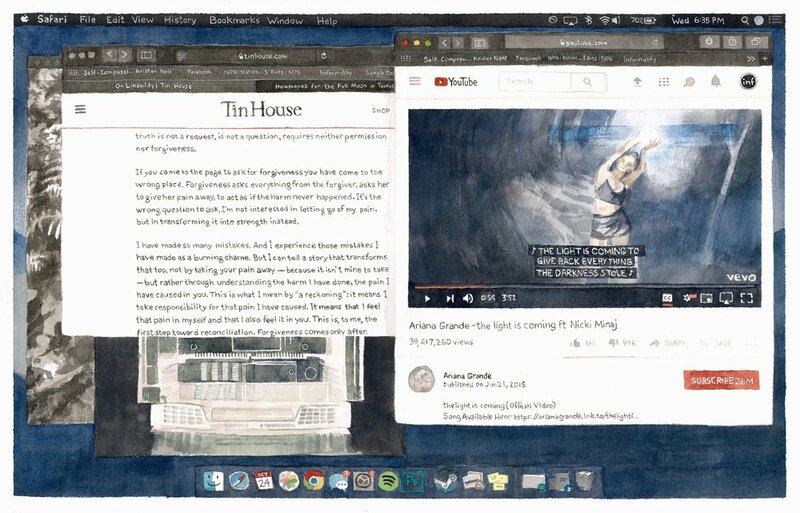 Each open application, to a different conversation or Google search, reflects a different train of thought and ultimately a different part of our identity. There are too many projects, too many side hustles, or layers of meanings we assign to ourselves. All of our open windows showcase opportunities for new understanding who we are through what we do. 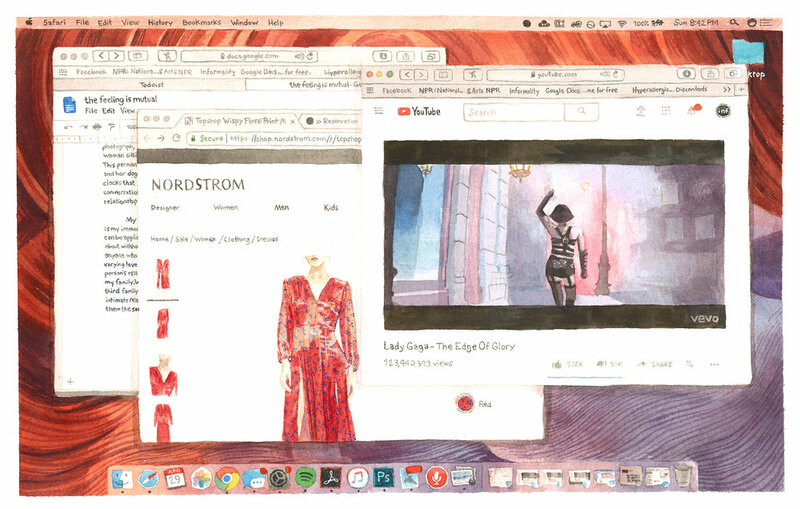 We perform self through the flawed organizational methods of workflow - or lack thereof - playlists, email chains, all of the tabs, late-night notifications, and desktop clutter. ⌘ + SHIFT + 3 are save points in digital memory of particularly affective moments in time.